Trans fat (trans-fatty acids) No trans fat was detected in the lab results for the four brands. Cholesterol Cholesterol was not detected in the lab results. Marking All brands had labelling as required by the rules and regulations. Salmonella In all of the brands, Salmonella was found absent per 25 grams, making them safe for human consumption. 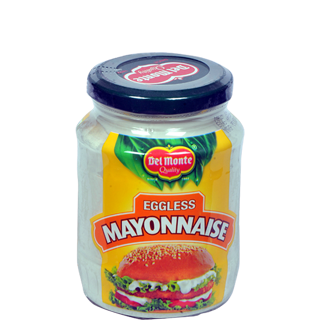 To Recieve updates and possible rewards for Del Monte Mayonnaise please sign in. To Recieve updates and possible rewards for Mayonnaise please sign in.